In the movie Zhou Xun met Takeshi in a noodle shop. It was on the coldest winter in Beijing, Zhou Xun had came to Beijing from her village town with no money, she was starving. She was waitng outside a noodle shop, Takeshi was a customer, eating a bowl of noodles but he didnt finish the whole bowl and left it, as soon as his back was turned Zhou Xun saw the chance and stole the noodles and scoffed it quickly. Takeshi took pity on her and offer her a place at his home after knowing shes homeless and with no money. 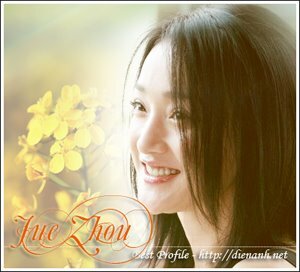 Off the movie Zhou Xun could not forget the 2 most memorable scenes, the noodle eating and the bicycle ride on snow. She had burned and nearly choked herself doing that noodle scene as she had to scoff down the noodles quickly, this had put her off eating noodles for a week. With the bicycle scene, she was too busy concentrating on her acting that she kept losing her balance, luckily Takeshi was beside her, he kept her safe. In the movie it was very cold winter, both of them trying to keep warm by having "steam boats" (like a fondue). At the end of the shoot, Peter Chan and crew had a steam boat party.